Our delicious, fudgy Keto Chocolate Cake is super rich and super chocolatey. You’ll just love that sugar-free cream cheese frosting! 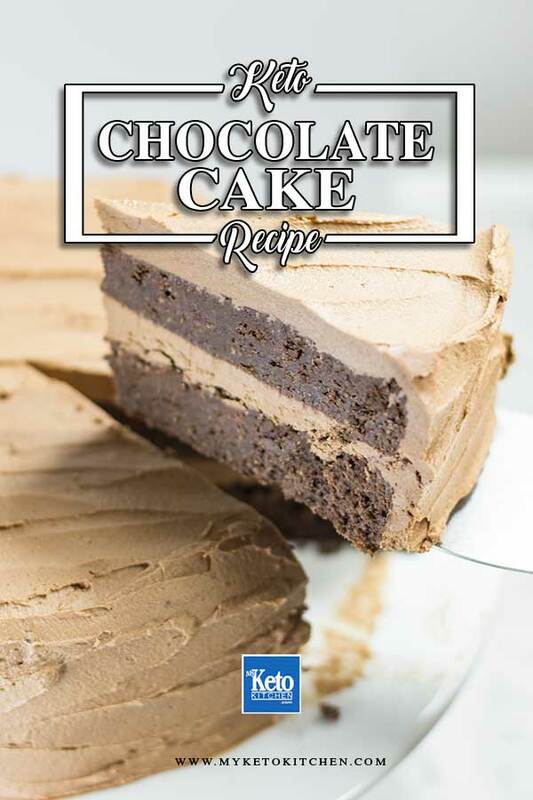 This low carb cake is perfect for Easter; with a cake this good, who needs Easter Eggs! I served our Keto Chocolate Cake to my family for my Mum’s birthday and everyone loved it! Two years ago, we made our yummy Keto Cherry Ripe Bars – one of Mum’s favorites. 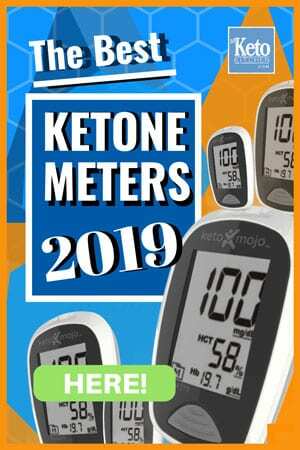 This keto cake recipe makes 12 serves. 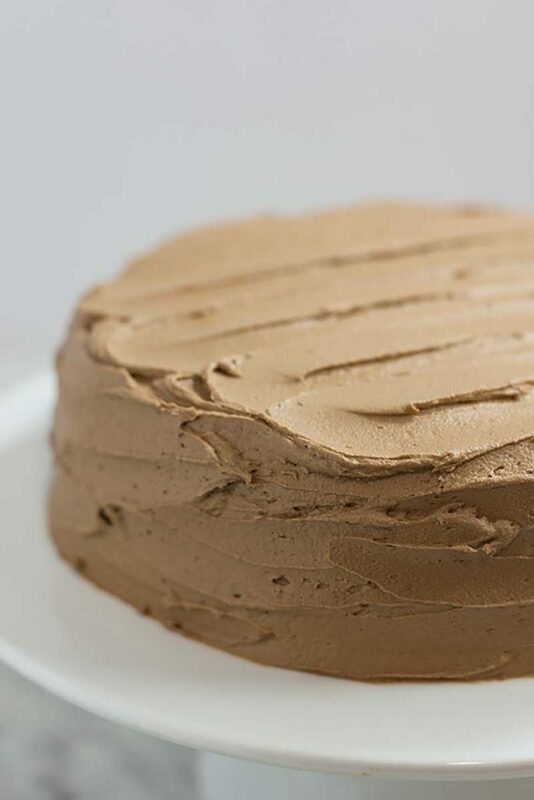 Store the frosted cake in the fridge for up to 1 week, or freeze the un-frosted cakes, tightly wrapped, for up to 3 months. Remove the cake from the fridge an hour before serving. Preheat oven to 160C/320F. Grease 2 x 8-inch springform tins and line the base with parchment paper. 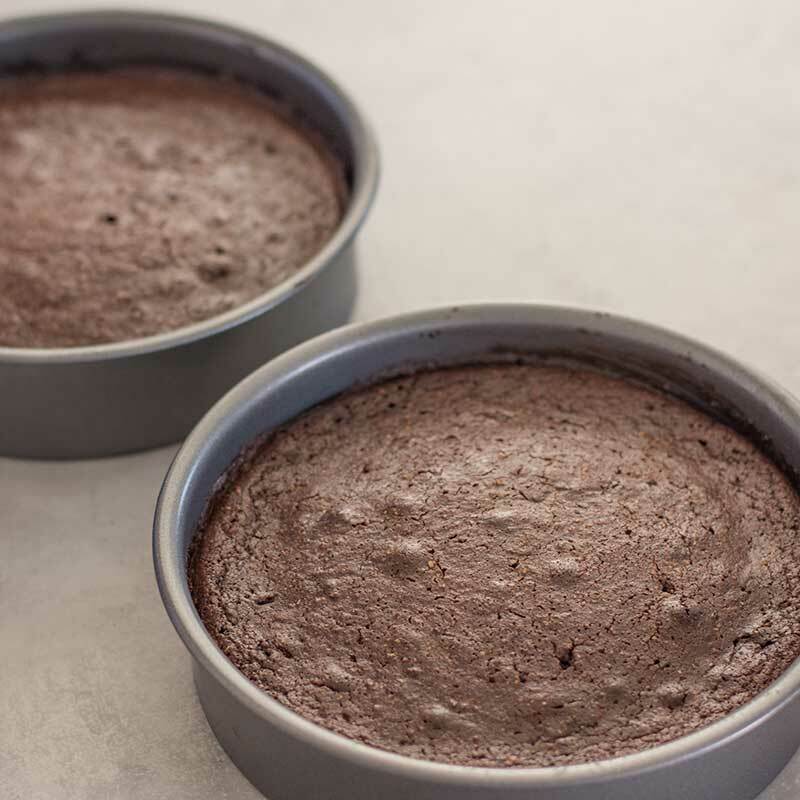 In a bowl, add the coconut flour, cocoa powder, baking powder, and salt. Mix together. Add the butter and Sukrin Gold into your stand mixer and beat until pale and fluffy. Add the eggs one at a time and combine. Add a spoonful of the flour mixture if it looks like it’s going to curdle. Add the remaining flour mixture, sour cream, and vanilla and mix until just combined. Pour half the mixture into each of the prepared tins and bake for 20-30 minutes until an inserted skewer comes out clean. Set aside to cool in the tin for 10 minutes before turning out onto a cooling rack. Place the chocolate in a heatproof bowl and set over a saucepan of simmering water to melt. Once melted, set aside to cool slightly. In a separate bowl, add the butter and cream cheese and beat with a hand mixer until combined. Beat in the Sukrin Melis, followed by the cooled chocolate and mix until just combined. Place one of the cakes on your cake stand and spread with about one-third of the frosting. Place the other cake on top. Cover the cakes with the remaining frosting, slice and serve with Keto Whipped Cream. 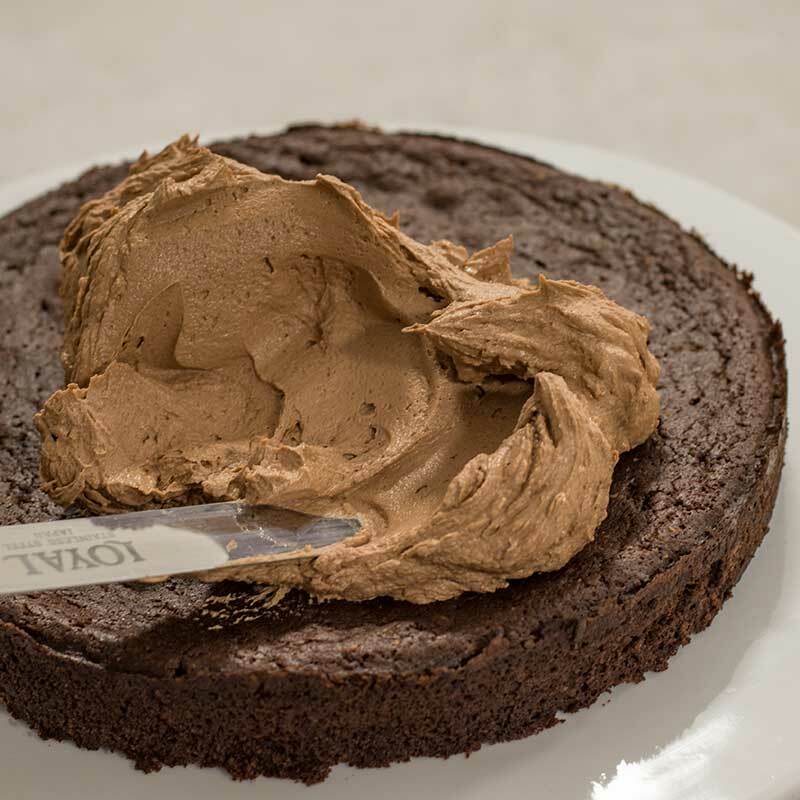 Our delicious, fudgy Keto Chocolate Cake is Super Rich Mist and Very Chocolatey. Make this at home ahead of time for when your Low-Carb Freinds visit. Add the butter and Surkin Gold into your stand mixer and beat until pale and fluffy. Beat in the Surkin Melis, followed by the cooled chocolate and mix until just combined. 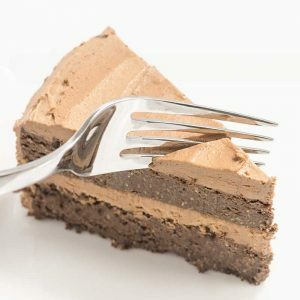 To make a larger batch of Keto Chocolate Cake adjust the servings above.